jrscollectibles03 has no other items for sale. 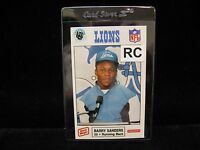 16 ct 1989 Oscar Mayer BARRY SANDERS Rookie Lot SUPER RARE! !